What could be simpler or tastier than this candy made from almonds, honey, pistachios, and egg whites? 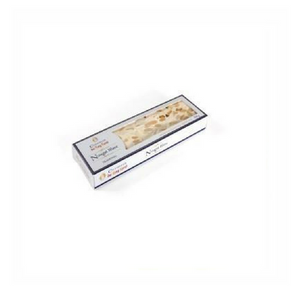 The small nougat bar comes from Chabert et Guillot, based in the town of Montélimar, which has been the capital of nougat making ever since the first almond trees were introduced into the Vivarais region in 1650. 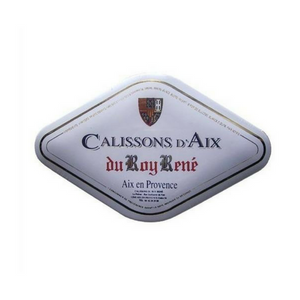 The large white and dark nougat bars come from the famous calisson-maker Confiserie du Roy Rene. The white nougat bars are soft because made with beaten egg whites. 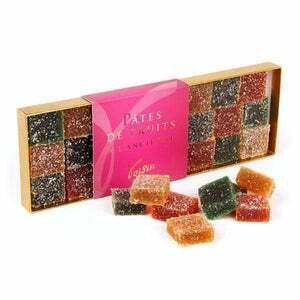 The dark nougat (nougat noir) is harder, has twice as many almonds, contains no egg whites, and gets its dark color from the carmelized honey. The dark nougat (nougat noir) is harder, has twice as many almonds as the white nougat bar,contains no egg whites, and gets its dark color from the carmelized honey.